“When they begin the Beguine,” wrote Cole Porter in 1935. He was referring to an intimate pair dance to a rhythm of the French Caribbean. I check out the various recordings, now so easily available on YouTube or Spotify, and find myself wandering in the Forest of Speculation. Beguine – where did that word come from? How is it I come across references to it here in Belgium, far from Guadeloupe or Martinique? Does the Belgian word even have anything in common with the Caribbean word? So, when did they begin, the Beguine? It turns out that it’s not easy to say exactly, but they were here alright. 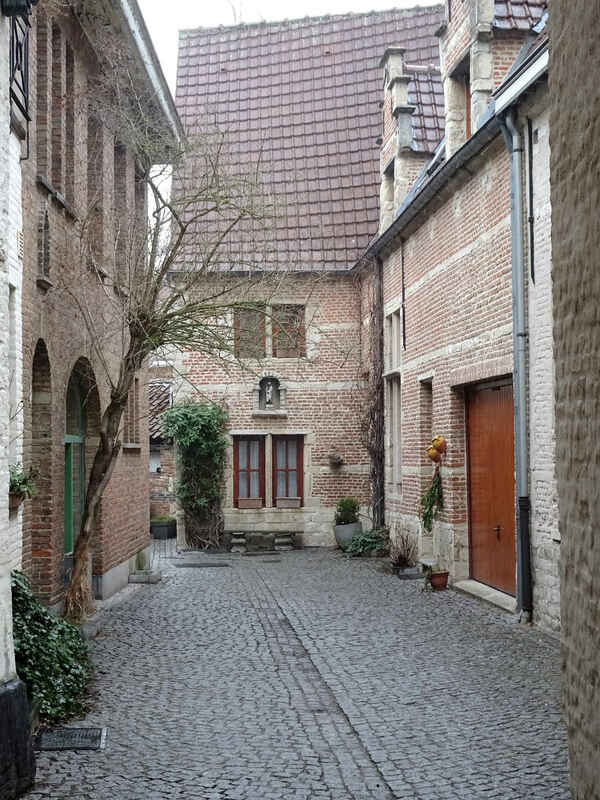 All across the Low Countries towns and cities have their Béguinage or Begijnhof. It might be a little court of houses like an almshouse in Britain, or it might be a whole city quarter. 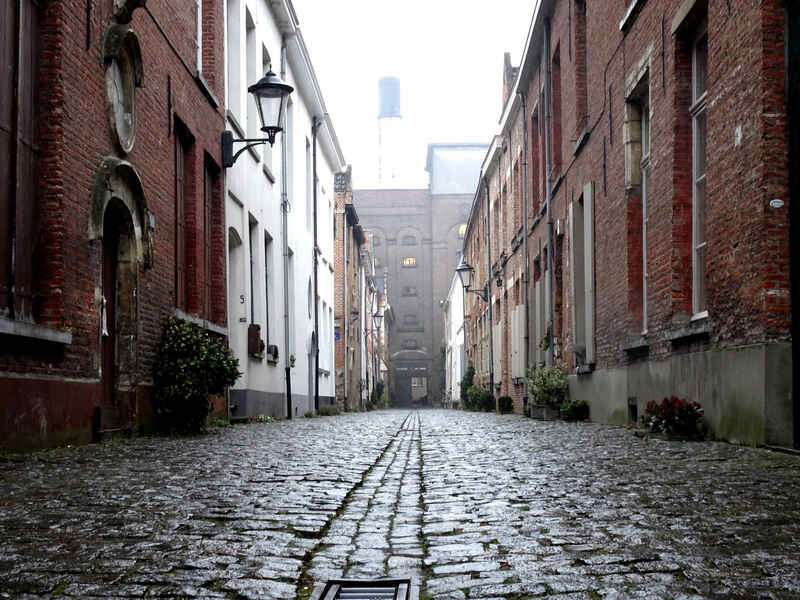 In Mechelen something like a fifth of the old city seems to have been part of the Beguinage. Likewise in Leuven. 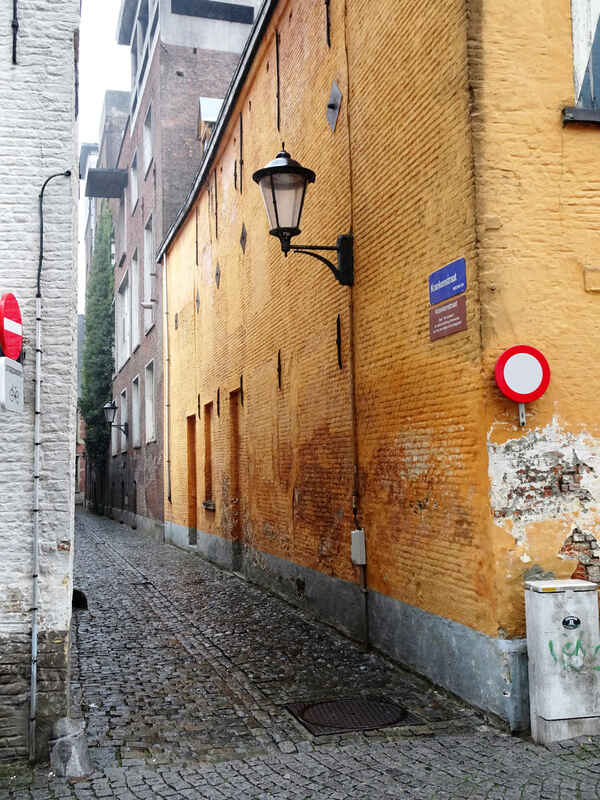 Nowadays, the houses in these quaint little streets and sequestered courts are most often private homes (though in Leuven the Grand Béguinage has been taken over by the University). But it’s not difficult to guess that there was once a religious dimension to them. 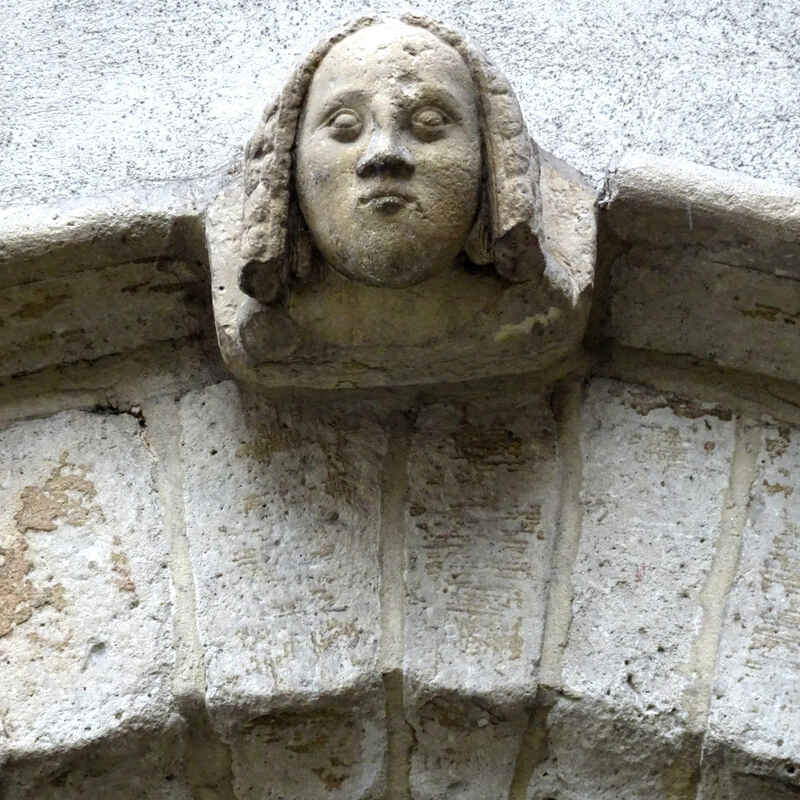 The street names give it away, as do the decorations: Jezuspoort, Église du Béguinage, Noonenstraat, Rue de Chapelain, angels and saints lean from the lintels of doors and windows to bless the passers-by. Some houses are still identified as “klooster” or “couvent” – but that’s not really right. The more I learn about the historical Beguinage the less it seems to fit my modern concepts of a cloister or a convent. Back in the Middle Ages, back in the 11th and 12th centuries, the social room reserved for women was limited. First, women were daughters, then they married and in the fullness of time became mothers and grandmothers. Health, sanitation and the availability of food being what it was, if the women survived childbed (repeated childbeds) they might also outlive their husbands and attain widowhood. Married women were able to keep shops and even practice certain skilled crafts (weaving, lace making and brewing for example). Some managed their husbands’ finances and some widows took over businesses after their husbands died. But generally it was accepted that formal authority and femininity did not go together. Women were subservient to men. It was their destined lot. The inheritance of Eve – or so the Church taught. There was one respectable way out. You could enter a convent, become a nun and sidestep your fate. Marry Jesus and live a life of prayer and good works. But in the 1200s and 1300s in the Low Countries, this was an option only for the wealthy. The Church was wary of communities of women and restricted the number of nunneries and the number of places they held open. The entrance fees were beyond the reach of most women, most families. So what could you do? You could find cracks in the social edifice, you could co-operate. 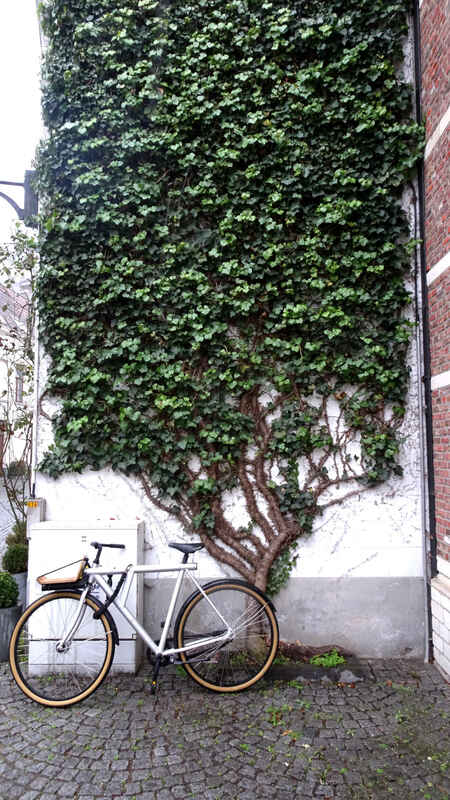 You could start a Beguinage. In the context of the time, the Low Countries were highly urbanised societies. They wouldn’t seem so to us. To us they would seem a scattering of very small towns and villages, albeit quite close together, set in a sea of cultivated fields. But for the period this was a densely populated urban setting – and in cities, then as now, social control was looser. It was also easier to find like-minded people to associate with. Women got together. They pooled resources. They might not have been rich enough to buy themselves places in convents, but some had means. The early Beguinages seem to have been co-operative communities that allowed women protection and support while they did their own thing. This being a religious age, “their own thing” often involved prayer and devotion,. The Beguinages also received financial and material support in return for saying prayers for the souls of their donors, so that was all to the good. 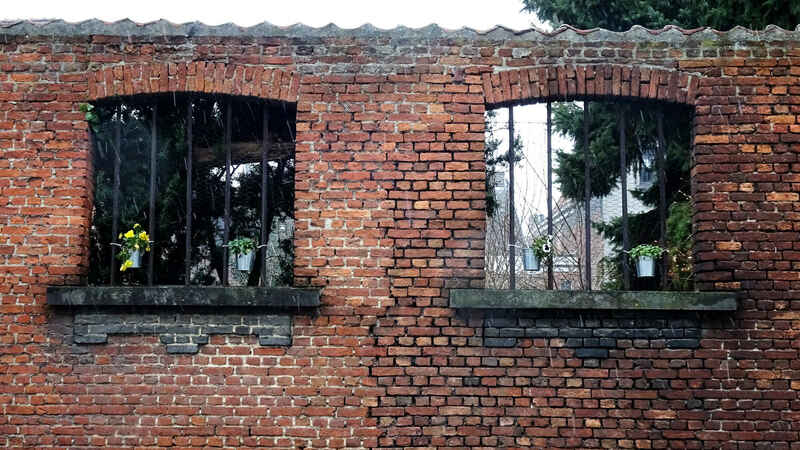 To fit into a society dominated by religion, and to try to avoid the enmity of the Church, the Beguines started taking “simple vows” of poverty, chastity, humility and obedience. The vows were “simple” in the sense that they were temporary or non-binding. The women could and did move in and out of the Beguinages during their lives. They might even move out to marry and – I’ve been told – even move back later though not widowed. Which sounds to me like a form of separation, even a divorce. But what about that name? Nobody really knows. One theory you see around says the Beguines got their name from Lambert le Bègue (the Stutterer). Another wants “Beguine” to be somehow a corruption of “Albigensian” – because the Beguine were secret heretics and followers of Albigensianism. Both of these seem to be ideas that arose in the 1300s. The Beguins appear in the historical record first in the late 1100s in the Dutch speaking part of the Low Countries. The name itself – begijn – first seems to be used from the early 1200s. 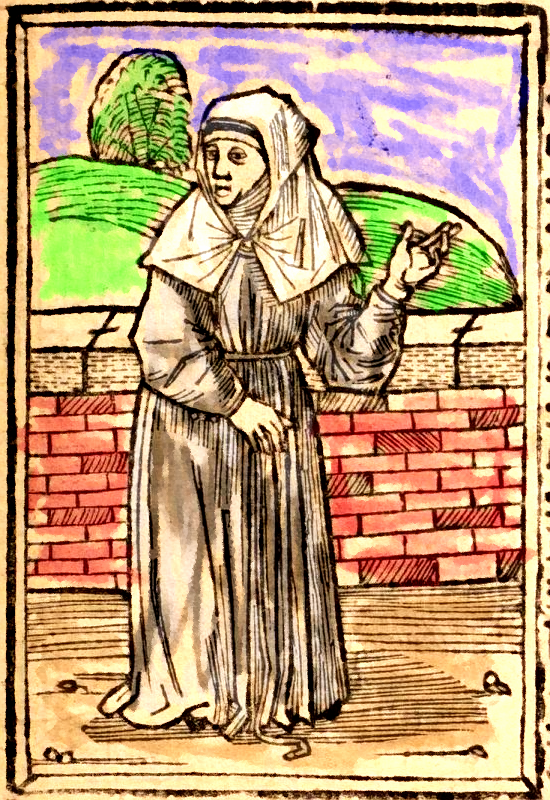 (The first person explicitly identified as a Beguin seems to be the mystic Marie of Oignies who died in 1213.) The idea, though, spread widely. In France they were beguine, in Italy they were bizzoche or pinzochere, in Spain they were beatas sometimes living in beaterías. In Germany, Switzerland and Austria they were Das Beginenwesen. There are even reports of Beguines in England at Norwich and in Sweden. They made the Church uneasy. This is a Churchman, Friar Gilbert of Tournai, writing in 1274: “There are among us women whom we have no idea what to call, ordinary women or nuns, because they live neither in the world nor out of it.” They had supporters – for example the Bishop Jacques de Vitry of Liège who was a champion of Marie of Oignies – but also their share of haters. In 1236 a Beguine was executed as a heretic, which added fuel to the criticism. By the early 1300s a Church Council had identified them all as heretical. The wider Beguine movement seems to have been squashed by this, but in northern Europe and especially the Low Countries, the Beguines had put down strong roots. Beguinages continued and grew, though they migrated closer to the religious than the secular. By the 1600s the Beguines were associated with prayers and charity for the poor and the sick. They also wore distinctive clothing and this seems to have given rise to the second meaning of the French word béguin – a bonnet. The French Revolution ended the Beguines in France, but fashion saved the word. For a period the béguin bonnet seems to have become such a fashion feature that French women travelling to the colonies were identified as “béguin” because of it. In this interpretation, “béguin” entered Creole, the dialect of the French Caribbean, as a word meaning lady, woman, girlfriend. So someone you want to dance with. Eventually it became the name of the dance itself. And that’s how the Beguin began! Even though the above does not do justice to a fascinating subject, I could not have written it without reference to the texts below. In particular, Professor Deane’s essay would be a great place for you to start if you wanted to learn more about the Beguines. 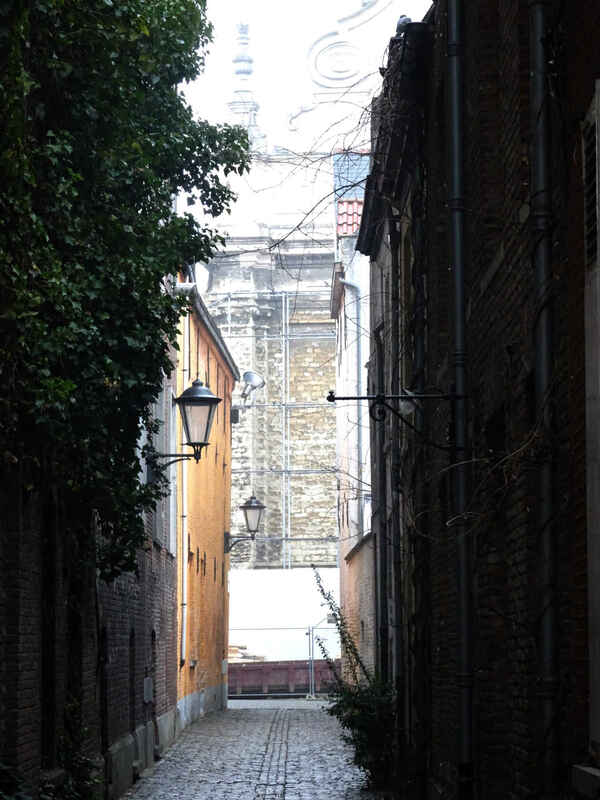 The photos are my own from the Greater and Lesser Beguinages of Mechelen. It rained and it rained. The inexpertly coloured woodcut is taken from Des Dodes Dantz (The Dance of Death) published in Lübeck in 1497. See here. Jag lär mig så mycket av dina inlägg, tack! Hur kan du veta allt? Helt otroligt! Verkligen lärorikt, det enda jag kände till innan var sången. Detta var det bästa inlägg jag läst av alla med kvinnotema idag, det borde ha varit i morgontidningarna. Fascinerande historia. Jag är imponerad! Ett samhället för Theo och Ramona att utforska kanske?